Our consultants and directors have trained thousands of coffee shop, espresso cart owners and espresso drive thru operators throughout North America for over 32 years. As a new shop owner our consulting team will help you learn current and cutting edge operational, marketing and barista techniques that are guaranteed to help your business reach its full potential. Our skilled espresso coffee consulting team will lead you step by step through the process of opening your business. With over two decades of experience, we understand how to run a successful espresso cart, kiosk, drive through or neighborhood coffee shop, and enjoy doing it. Preparation and planning of your new specialty coffee business will increase your odds of success and help you to avoid costly mistakes that will save you investment dollars and operational inefficiencies. Our talented team of seasoned professionals can help you achieve your vision, from concept to opening day and beyond. Two- hour telephone consultation reviewing your ideas and vision. Written articulation of your vision and review of possible ways to achieve brand. Review of target clientele and menu. Draft of menu to enhance concept. Three-hour telephone consultation with our skilled interior designer, working with you to finalize interior colors, fixture look & rough detail, lighting, furniture and murals to wow your clientele. Review of all logos and signage so that the entire concept is interlinked to brand. Review of the bar design and layout to ensure that it is tied to the concept. Build a list of equipment and associated cost. Create a written estimate of Bar construction, Interior cost, flooring, painting, fixture cost, lighting cost, furniture cost, small wares, specialty beverage and coffee brewing equipment, health department required sinks, startup inventory and design cost. This service is perfect if you already have your concept and brand developed and want to have your coffee bar designed for operational efficiency, where we incorporate your menu and specific equipment into the design to minimize labor cost and provide best service opportunities for your staff. First we will discuss the two philosophies of customer flow and upon our direction will then design the overall layout and equipment plan for your business and it will be ready to hand off to your local architect or draft person for initial layout. This is not a working construction drawing, but is a drawing that focuses on ergonomic, workflow, Customer flow and placement of key equipment, storage and refrigeration. The actual equipment and specification will come at a later date. Service Includes two 60 minute discussions, first to determine the scope of equipment needs, budget, and consumables needed. Also geographical requirements, equipment priorities, options and tradeoffs related to price and budget and a second discussion of top brands and models including tradeoffs and advantages and service related issues, so that your best choices are comfortably made. We also include a list of typical coffee bar equipment and small wares as a vender list with contact information. We work with you to develop and finalize a beverage and food menu including hot, cold and frozen beverages, signature drinks, and food and retail items. All items will be priced using a formulation to ensure the margin is the best balance between profitability and competitiveness. We will work with you to logically organize all menu items, price them based on total cost, showing margin options for your evaluation and final determination. Customized candid review of overall concept and brand, initial perception after complete café walk through. Review of menu, pricing, monthly sales, profit and loss statements, labor and employee scheduling, inventory, purchases and ordering processes, consumable products and waste, rent factor and hard expenses. Marketing strategies, cost reduction, profit enhancement and sales growth will be a focus. Travel days if applicable will be billed at $650.00 per day. Our baristas are simply amazing, each with over 15 years of experience in espresso and coffee beverage preparation. As the founder of the original barista academy in the United States, I can honestly say that my Seattle barista trainers are the best ever! Plus, they are fantastic teachers who are patient, entertaining, and highly skilled, ensuring that your baristas get the ultimate learning experience. When the training is complete your baristas will produce quality, consistent drinks that will build your reputation, increase your sales and set you apart from your competition. On-site training can vary from two to five days. Travel if applicable will be billed at $525.00 per day. 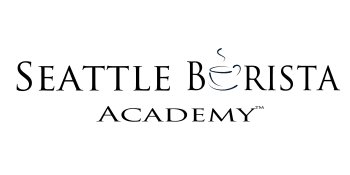 Customized to your specific training needs and desires, this one day hands on training is provided at the Seattle Barista Academy’s Kent facility. Lunch and training manual are included. Whether you want to have your prospective site evaluated, lease negotiation strategy reviewed or want to discuss or review any other issue, an independent, unbiased consultant, can help you prevent costly mistakes and enhance your decision making process for better results. Consulting can be done over the phone or via e-mail or if travel is not required at your facility or prospective site. For best pricing on espresso machines and great services, we recommend Beverage Specialists Inc.